Have you planned an end of summer party yet? If not, you really should start planning soon. Summer is the perfect time to throw a party for any reason and you still have a small window of time to enjoy what’s left of the summer season. Whether you want to put together a last minute party for your family, a group of friends, or the entire neighborhood, these themes and accompanying ideas will help you plan and execute a party that’s bound to be one of the highlights of your entire summer. Ice Cream Sundae. 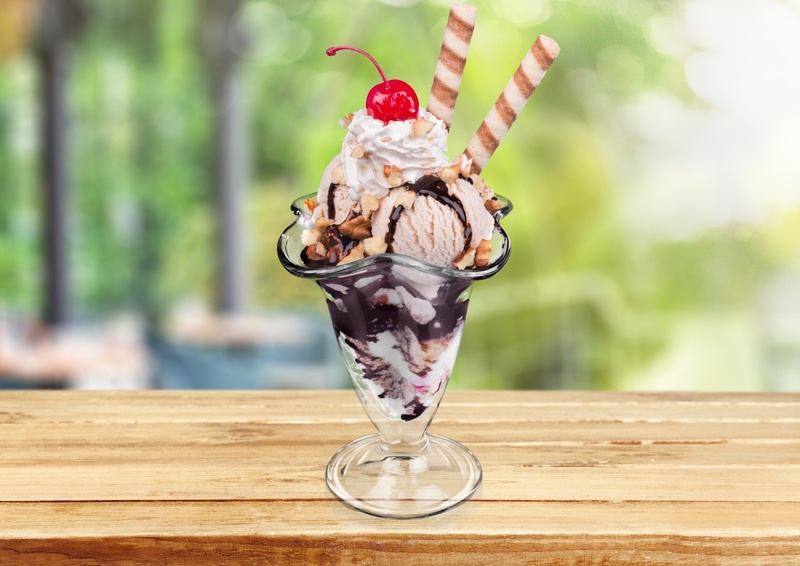 Classic hot fudge sundae. This fun and yet low key party can be thrown together in a single day if necessary. Send out invitations to your guests. You can use cards, flyers, text messages, email, a Facebook notification, or word of mouth depending on your own personal style. Plan the party for an upcoming Sunday afternoon or evening. Take it to the Next Level: Have warm freshly baked cookies available for your guests to top with ice cream and toppings. Other Considerations: If you’d like this party to be more than a simple social gathering, you can play music and encourage guests to dance. Or you can set up a game of volleyball, break out Twister, or play games like tic-tac-toe or hangman on the driveway with sidewalk chalk. 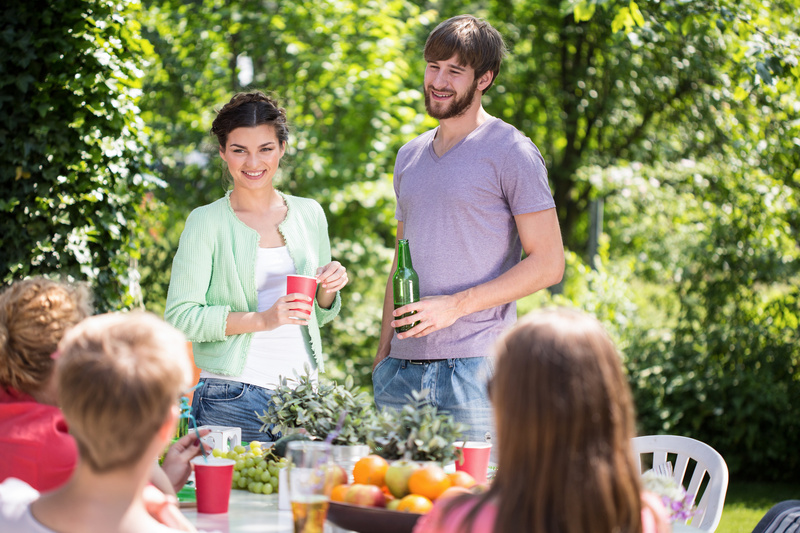 An end of summer block party is the perfect way to get to know your neighbors better.Just remember to focus your guest list on all of your nearby neighbors. The Basics: Choose a central location in your neighborhood (even a cul-de-sac or quiet street may work) and notify all of your neighbors of the location, date, and time. Make the event a potluck meal and ask each neighbor to bring two potluck items to share. You can also encourage each household to bring their own plates, cups, and utensils, if desired. Spend the evening chatting with the adults and set up some simple games for the kids. Take it to the Next Level: Assign a theme to your potluck meal. For example, make the potluck an appetizer night and ask each household to bring two different appetizers to share. Other Considerations: You can also ask each household to bring their own lawn chairs or camp chairs so that everyone has a place to sit (other than on the sidewalk or grass). If you have access to a swimming pool, you have probably spent a fair amount of time at the pool already this summer. Instead of throwing a basic pool party, mix things up by planning an outdoor movie at the pool. The Basics: In order to execute a pool movie party, you will need to think about the technical requirements, ideal timing, seating arrangements, pool friendly food, and the best movie to show. You can learn what’s needed for all of these logistics by checking out the great tips listed here. Take it to the Next Level: Plan food that goes along with the movie. For example, if you are showing Napoleon Dynamite, you can serve cartons of milk and tater tots. Other Considerations: If children will be attending your party, have a plan for extra safety measures. Showing a movie may distract a lot of your guests and children should always be closely supervised near water. Take it to the Next Level: Divide up the teams in advance and assign team colors. Encourage each guest to arrive dressed in their team color. Other Considerations: Mix things up by adding a new requirement every inning for running the bases. For example, in the first inning all players must sing the Star Spangled Banner while running from bases to base. If they forget to sing, they’re out. In the second inning, all players must run with their hands on top of their heads, and so on. You can use any of the ideas above or use this article for inspiration to formulate your own perfect theme. The end of summer is fast approaching so start planning your end of summer party today! I want someone to invite me to all of these sorts of parties! The Sunday Sundae is super cute! Very easy to pull together and who doesn’t love ice cream! Yes, who doesn’t love ice cream! How was your weekend? Oh how I wish it were so my friend! Enjoy the warm weather and water! I remember going to block parties while still living in California, so much fun! Yes, we had block parties in New York, so much summer fun!